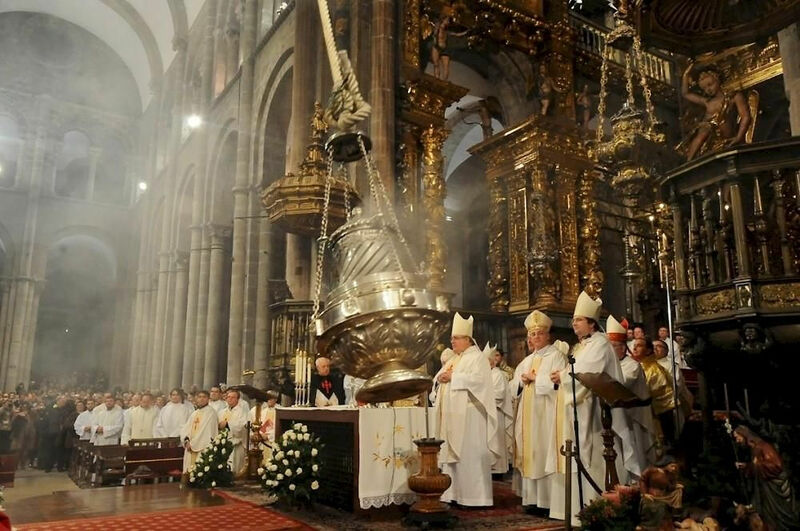 A spiritual finale and sublime celebration of reaching Santiago de Compostela. Photo: © Authentic Journeys.com. In my last entry in the Pilgrim’s log, I asked the question “Who is the Modern-day Pilgrim?” Well, this September, I plan to find out the answer to that and many other questions when I gear up to embark on my own Camino de Santiago pilgrimage with Authentic Journeys, a travel company that specializes in and prides itself upon its “luxury” Caminos—two escorted tours along the Camino de Santiago that combine luxury with Camino tradition. You might call me a privileged or spoiled pilgrim because Authentic Journeys takes care of all the details from nightly deluxe accommodations to pilgrim feasts indulged by ravenous peregrinos after the day’s walk, not to mention cultural immersion in each of the regions their tours pass through. Of the two guided tours they offer, the first begins in Roncesvalles, Spain, just over the Pyrenees from Saint-Jean-Pied-de-Port and continues along “the way” to Burgos. The second tour begins in León and follows the ancient path to the field of stars, Santiago de Compostela; and then one step beyond to the “end of the earth” aka Finisterre. It is the latter of which I will be a guest this September. 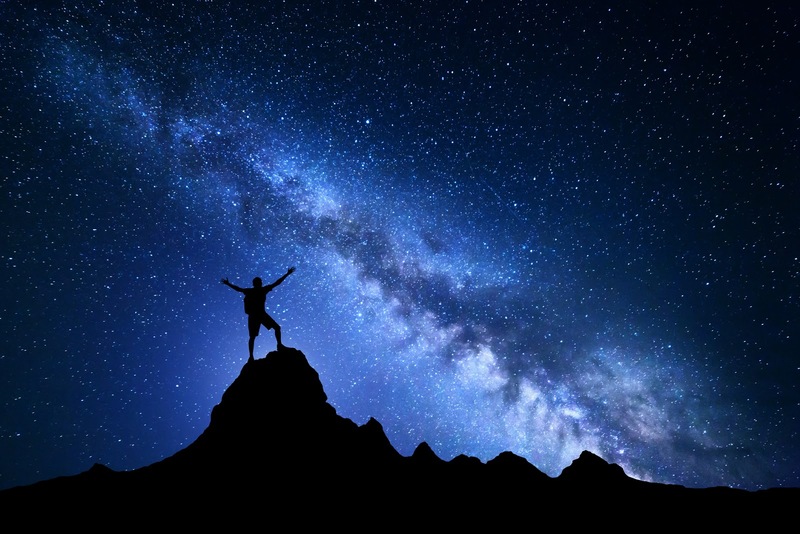 Never stop reaching for the stars. So many times in my life, I have often wished upon a star and once again that wish has come true. Perhaps the Camino really does provide as I mentioned in my previous post in ways beyond that of our comprehension. 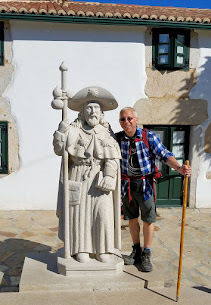 Surely this will be spiritual quest of not only self-discovery but of the many ways in which the Camino provides for all who make pilgrimage along this ancient path to the tomb of Saint James. 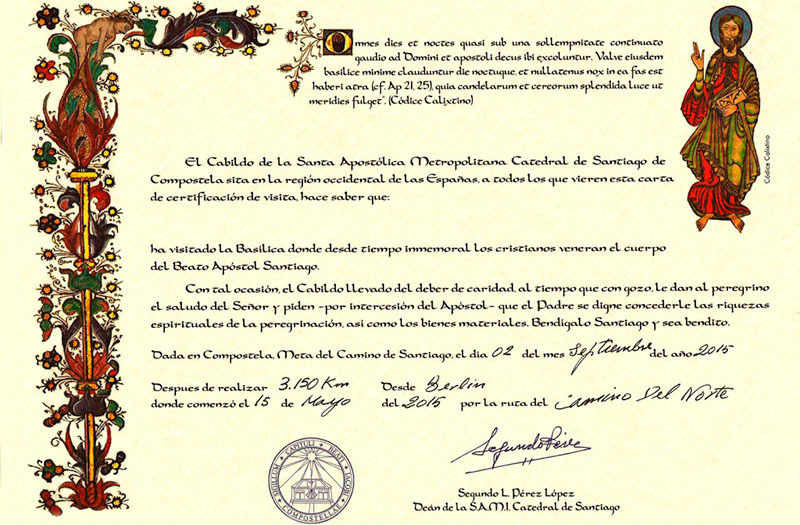 The Compostela certificate is a medieval document presented to pilgrims who complete the Camino de Santiago. Photo: © Pilgrim’s Reception Office in Santiago de Compostela. While my tour covers a total distance of more than 300 km of which 123 (77) miles will be on my own two feet averaging 6-10 miles per day, the distances in between will be by Authentic Journeys transfers. Yes, you can call me a privileged pilgrim by comparison but nevertheless, a pilgrim I will be and will complete my Camino my way. In the end, I will have traveled more than 123 km. to Santiago de Compostela! More about my day-to-day itinerary coming soon! Pilgrims must present their credential aka Pilgrim's Passport to gain access to community-sponsored albergues (hostels) or to dine from a pilgrim's menu at a local cafe. Photo: © Lisa Foradori. The Royal Collegiate Church of Saint Mary in Roncesvalles dates back to 1219 and has welcomed pilgrims since. 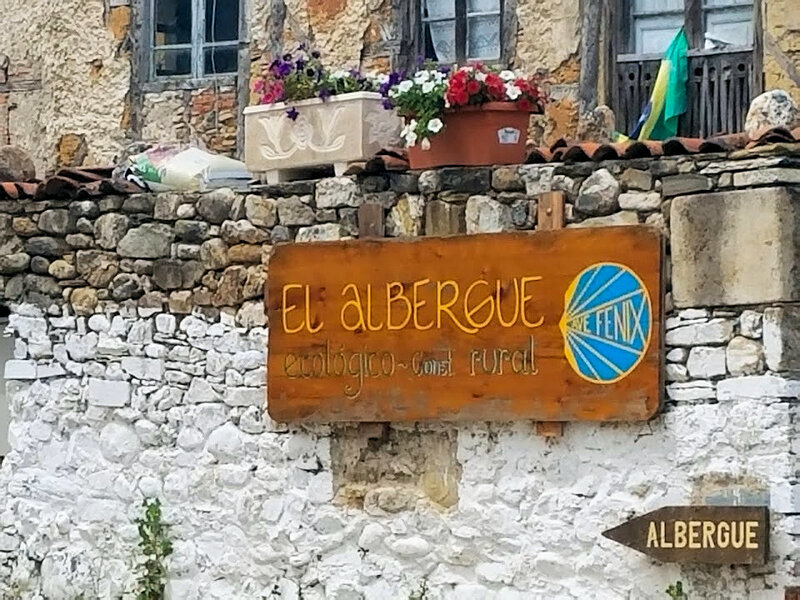 The albergue has been recently renovated and relocated and opened only a few years ago. 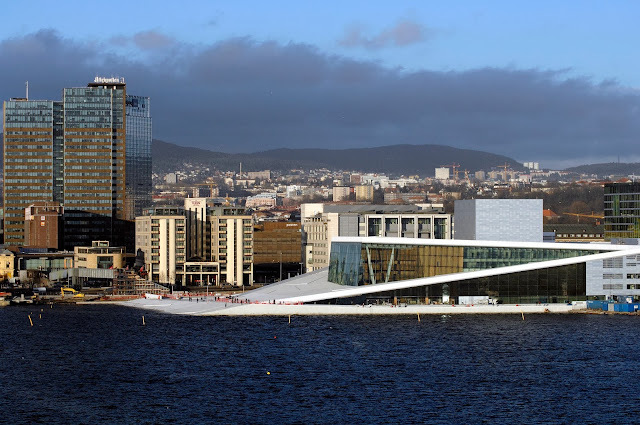 Photo: ©alberguederoncesvalles.com. While traditional pilgrims of whom I have the utmost admiration and respect, travel on foot for every step of the way along the 500-mile Camino, bunk down for the night in community sponsored albergues (hostels) and dine from the pilgrim’s menu offered at local cafés; my Camino will be a privileged journey as I mentioned above and will begin in Madrid one day before we head to León. 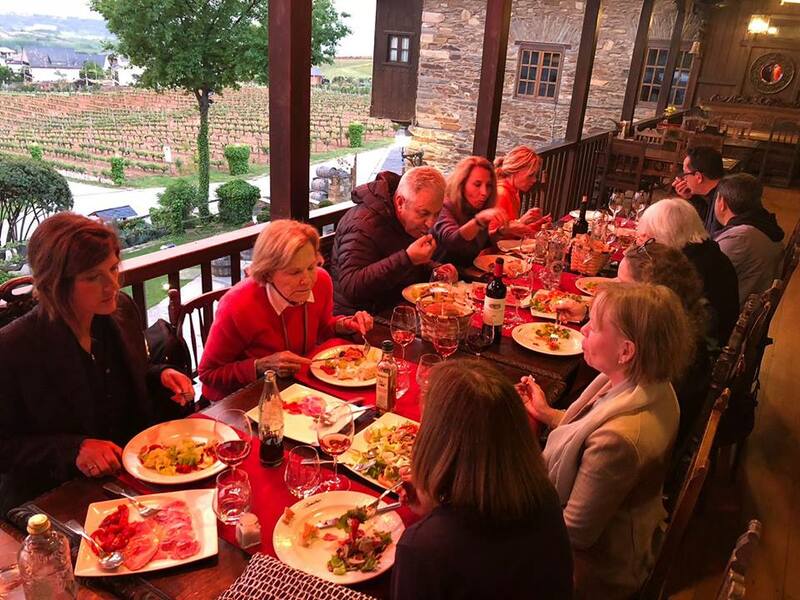 From there, we travel on foot and by transfer from city to city and village to village, bunking down for night in monasteries, hotels and farmhouses along the way; indulging in culinary specialties; private afternoon tours paired with wine tasting at local wineries, plus so much more. 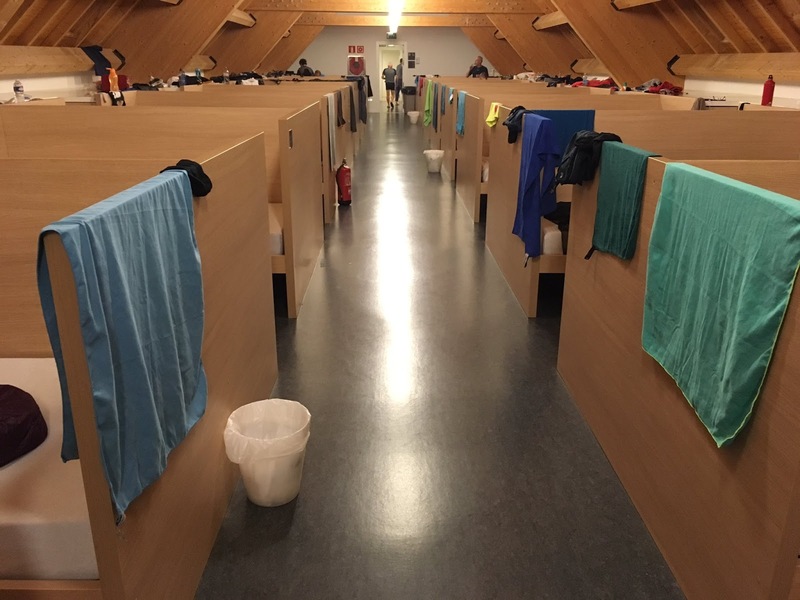 All too often I hear pilgrims complain of having to race to the next village in hopes of securing a bed in the local albergue undoubtedly and adversely affecting their experience. Thankfully Authentic Journeys manages all of the logistics leaving plenty of time for meditation and self-discovery. 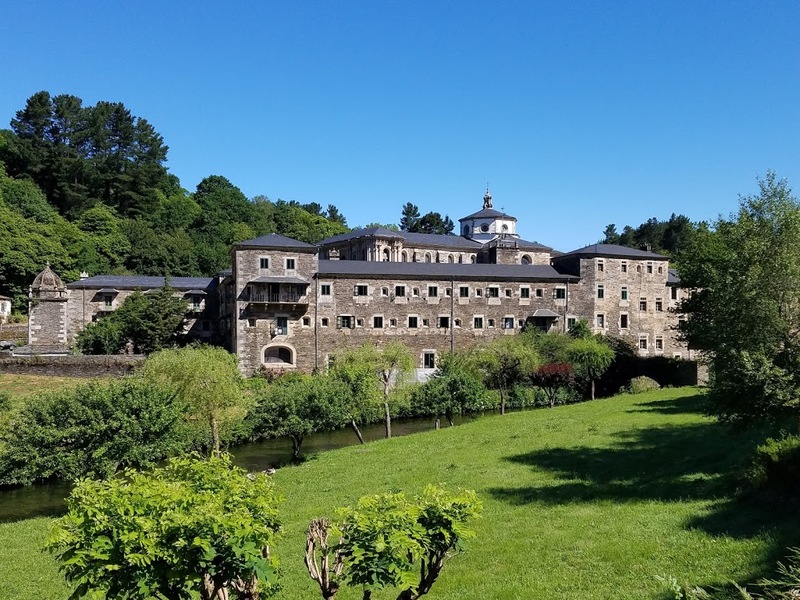 The Monastery of Saint Julian of Samos is an active Benedictine monastery in Samos, Galicia, Spain, and accommodations for the night along our Authentic Journey's pilgrimage. Photo: © Lisa Foradori. 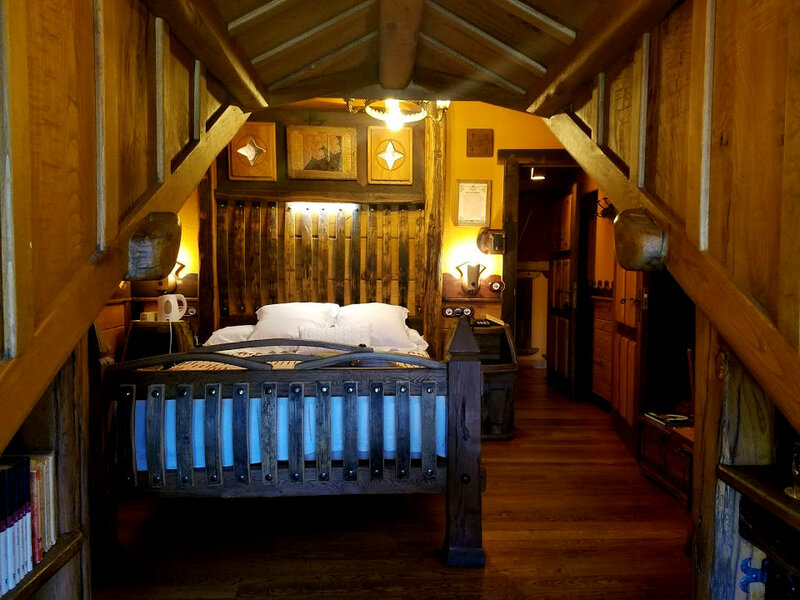 Deluxe accommodations in Molinesca welcomes the tired pilgrim traveling with Authentic Journeys. Photo: © Lisa Foradori. 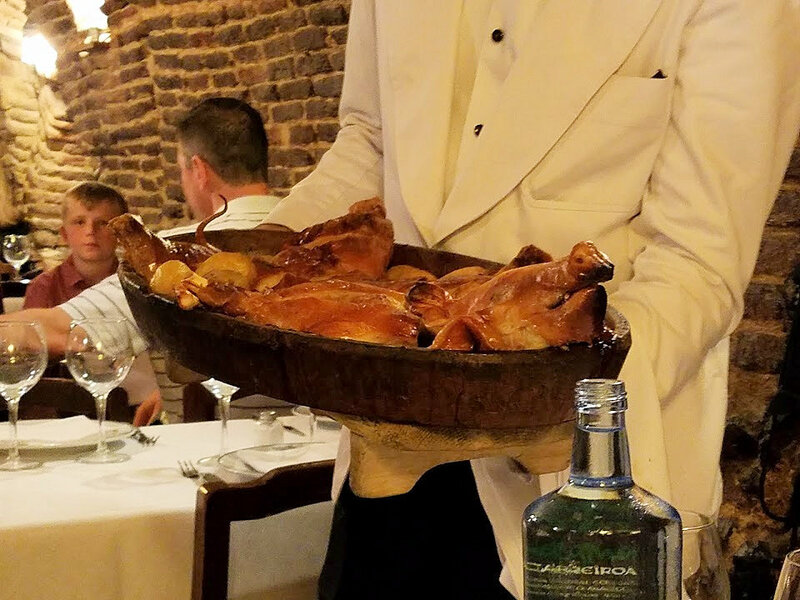 A feast fit for a pilgrim awaits after the day's walk along the Camino de Santiago. Photo: © Lisa Foradori. To define the modern-day pilgrim would be to see through their eyes, walk in their shoes and empathize with their motivations; and build upon the foundation of understanding what compels them or anyone to travel across the globe to northern Spain to walk the Camino de Santiago. Through casual conversations with my fellow peregrinos as well as new friends I hope to meet along the way, my mission is to uncover the answers of why we're all here. Breaking bread with fellow peregrinos is part of the Camino experience and provides an ideal forum for sharing experiences along the way. Photo: © Authentic Journeys.com. Perhaps one of the answers I will be in search of is whether a privileged pilgrim can experience the same revelations and epiphanies as those of the traditional pilgrims who have tread on foot for centuries before me. While that remains a mystery for now, I do know one thing for certain, despite my luxuries, I will endure the same physical aches and pains that result from hiking 10 or more miles per day but above all, I want to experience moments of reflection on my life, perhaps a revelation, an awakening or even a miracle of my own along this road wherever it may lead. Beneath it all, lies a story waiting to be told by yours truly, the pilgrim reporter! Please stop by next time for the complete itinerary of my upcoming pilgrimage. For now, Buen Camino! Do you think this venture is suitable for a plant-based (vegan) food eater? Hi there Amy and thanks so much for stopping by. Let me find out an answer to your question and get back to you here. Or if you want, we can communicate via email: jefftitelius@gmail.com. In either case, I will post a response here for you. Thanks again. I just heard back from the owners and here's what they said, "We accommodate vegans. Lots of yummy vegetables." So you would be well cared for my friend. Thanks again. What a fantastic opportunity to explore the world AND travel back in time, in a way. I can't wait to follow along on your journey! Thank you so much for your support and I am looking forward to bringing to life the Camino for everyone, especially you! I eagerly await to hear your answer to the question about being "whether privileged pilgrim can experience the same revelations and epiphanies as those of the traditional pilgrims." My hope is the answer is yes. I really like the idea of the Authentic Journeys combination of luxury and Camino tradition. Hi Cathy. I too, hope the answer to that question is an undeniably "Yes"! The Camino has been a dream of mine for a few years now and I can't believe I will be there in September, and with Authentic Journeys every step of the way. Thank you for stopping by and looking forward to sharing all of my updates from the Camino! I am really looking forward to read about your experience, Jeff. I've seen a movie a while ago about this pilgrimage a while ago and I am really curious about it. It will for sure be very tiring (10 miles a day is not a joke), but I hope what your body will endure physically your mind and soul will gain spiritually. 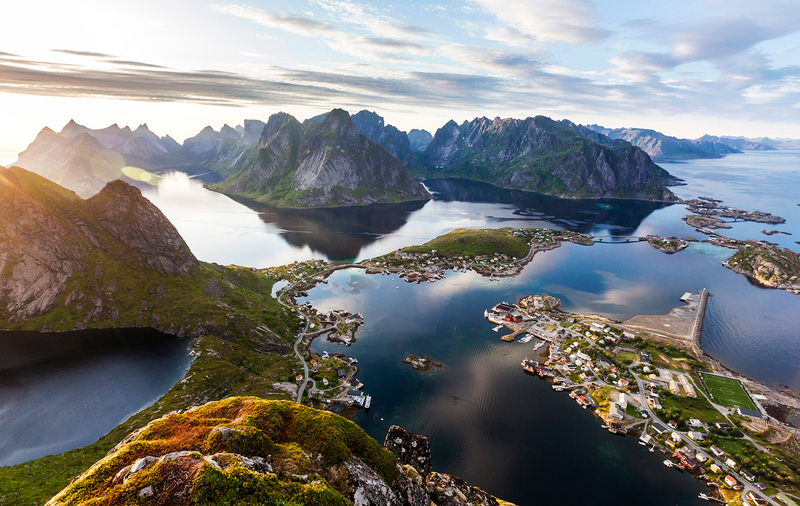 Doing this pilgrimage in more luxurious conditions will most likely help you recover faster from one day to the next, but I don't think will take away from the experience. Keep us posted. Hi there Anda and thank you for your comments! Yes, 10 miles is no joke and I pray my body is up for it. I am training now so hopefully all will go well. If I had my druthers about how to walk the Camino, this is it. No worries about beds or meals, Authentic Journeys will see to all of the logistics freeing my mind for more of a spiritual focus. Thanks again for your support and be sure to tune in on Sept 15 when I depart for Madrid and then head to León to begin the Camino.